Known for taking the Chrono world by storm with the release of the first watch with a rubber bracelet, a Hublot watch packs a punch despite coming from humble beginnings. The company started out rather late in the year 1980, but it’s been active ever since then. Having said all of this, you must have Hublot watch questions if you’ve stuck around through the hype so far! So, what we’ve done is compile the most popular questions that we have found about Hublot. They include some from other watch enthusiasts that we know. And we’ve answered them all. An atypical architecture with Meccano-type design. #BigBangMeca10 King Gold. 1: Are Hublot watches battery-operated? 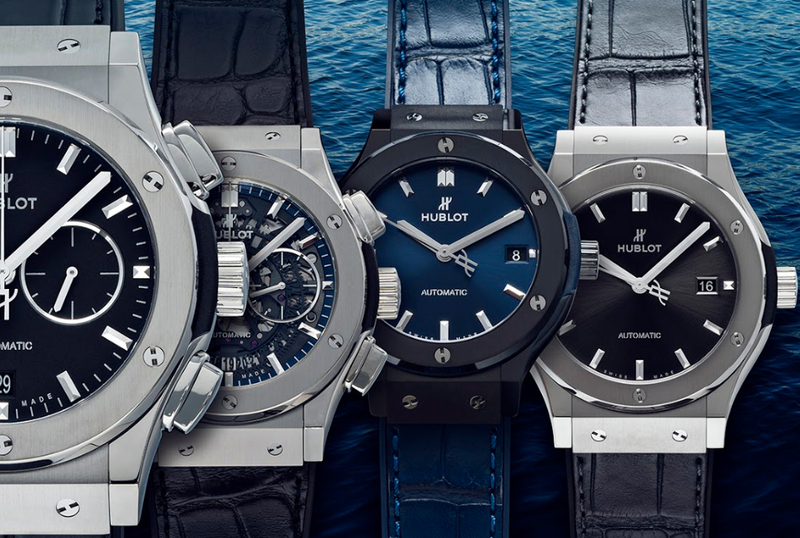 Like most luxury brands, Hublot watches have a few quartz models of popular lines like Classic Fusion. Nonetheless, the brand itself is still majorly a maker of automatic watches (self-winding from the user’s kinetics). From there, we can say the automatic watches are the better in terms of investment due to the high demands. But if you’re only interested in watches with considerable performance, the battery-operated watches are your next bet. Sharing is caring. Tag a friend who would love to wear these timepieces this summer. 2: Can Hublot watches substitute as investments? Here, the question of whether or not Hublot watches are well made comes up. To answer that, the obvious route to take is to make a comparison with a watch manufacturer like Rolex or Patek Philippe. In any of those two Giants, they make all their parts down to the heart itself, the movements in-house. This means a large labor force filled with gemologists, scientists, and engineers to manufacture and even improve all of these parts. As a result of all this, watches made by Rolex and Patek Philippe are gratified as two of the best you can buy in terms of sophistication and style. If you ask the question of whether or not the two (Rolex and Patel Philippe) can be considered good investments, this is their individual positive answer. Sadly, the same thing can’t be said about Hublot. Many watch aficionados (including us) share a spoken/well-debated argument that Hublots lack the level of craftsmanship shown by those two. Not because of lack of money, but because of a lack of innovative designs. Facts that back up this reasoning is that Hublot unveiled their first major in-house movement, the UNICO in 2010, while Rolex introduced its own in-house movement in 2000. With these points made, now consider the fact that Hublot watches are expensive and this may not be what you were hoping to hear. Still, it’s far better to know now. Especially if you were planning on investing in a few Hublot timepieces. *Note: Another perspective is that most watch enthusiasts know of these facts which seriously affects the resale value. A collection of timeless must-have pieces. #ClassicFusionIntegratedBracelet with blue dial and ceramic bracelet, available in 45, 42, 38 and 33mm. 3: Will Hublot watches keep up with fashion in time? Watches are objects that are lauded for their long-term use. They are also items that people expect to have perfect scores in both looks and performance. With the former, you’ll have to accept that ‘Looks’ essentially means how good they’ll look on your wrist. And the answer to that is a bold ‘Yes’. Hublot timepieces will keep up with fashion trends due to their circular bezels. If the brand has ever been known for anything, it’s the fact that they make some of the most fashionable watches that money can buy. Kind of like Tudor, they experiment with the parts that make up their watches. One that we can note down is ‘Magic Gold’—Hublot’s favorite and secret ingredient. The material is a mixture of gold and ceramics. After which, the result of the mix is a pseudo-metal with the best characteristics of the parent ingredients. 4: How to authenticate Hublot Big Bang watches? It’s one of their most popular collections so we think it’s safe to assume that you might be reading this because of the watch. If not, you can still apply this to literally any of their watches. If you want to authenticate a Hublot Big Bang watch, one quick process is to check the date display. The left edge of the box should be curved, but if that part isn’t satisfied, the number (date) itself must be centered at the very least. Follow up by checking if the watch uses an H-screw. If the watch is still around at this point, finalize your evaluation by making sure all the tags/names like “Hublot” or “Hublot Geneve” are engraved. *Note: None of these checks are fool-proof. The only guaranteed method is to buy from a reputable store. We used our knowledge and experience so far with the company to answer all of the questions above. So, they’re completely unbiased and will act as a guide for any decision relating to Hublot.